Since his retirement financier Sir Paul Ruddock has devoted himself to the arts. He currently sits on the board of the British Museum. He is an honorary senior research fellow at the Victoria and Albert Museum and a trustee of its foundation. He retired from Lansdowne Partners – the investment management company he co-founded in 1998 – in 2013. Sir Paul was knighted in the 2012 New Year Honours for services to the arts and to philanthropy. He is the main benefactor behind the £10 million performing arts centre at his old school – King Edward’s in Edgbaston. The new centre was funded by Sir Paul and his American-born wife Jill, and is known as the Ruddock Performing Arts Centre. When Northern Rock came crashing down in 2007 Paul Ruddock’s Lansdowne Partners hedge fund made a reported £100 million profit after betting on its collapse. Lansdowne made a further £28 million on the Barclays Bank share price by acting very quickly when the ban on short selling was lifted. Short-selling deals on insurance firms Aviva, Prudential, Old Mutual and Legal & General also added millions to the Lansdowne coffers. A former pupil of the independent King Edward’s School, as well as an Oxford law graduate and former Schroders and Goldman Sachs executive, Solihull-born Sir Paul, 57, co-founded Lansdowne with Steven Heinz. When he retired he was chief executive of the firm which has more than £10 billion of funds under management. Before setting up Lansdowne he was managing director and head of international at Schroders, and also worked in investment equities at Goldman Sachs. He accumulated nearly 30 years experience in global financial markets. He set up the Ruddock Foundation for the arts and made a big donation to help his old school build its arts centre, as a thank-you for the education he received after winning a free place at the school in the 1970s with a government-funded grant scheme. The arts centre, serving both his old school and the neighbouring Kind Edward VI High School for Girls features a 430 seat concert hall as well as a rehearsal and dance studio. He cites his scholarship to the school as a turning point in his life, and his experiences at the school gave him his love of theatre, art and music. In 2015 he was appointed Commissioner of the National Infrastructure Commission, an independent body enabling long-term decision making in infrastructure projects. 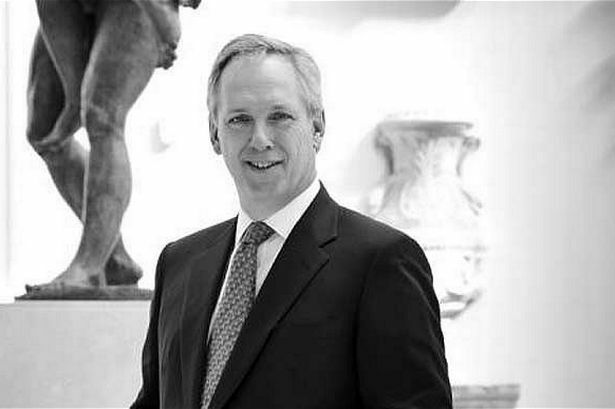 He served as chairman of the Victoria & Albert Museum, having been a trustee since 2002. He also chaired its finance committee and its development committee, and has brought in many large donations to the museum. Sir Paul is an ambassador for Afrikids and has been involved in several educational and charitable projects in Africa through the charity. He has donated substantial funds and helped the charity connect with other donors. Sir Paul is also a trustee of the Metropolitan Museum of Art, New York, a Fellow of the Society of Antiquaries, Bancroft Fellow of Mansfield College, Oxford (his former university where he gained a law degree) and a former Trustee of the Samuel Courtauld Trust and the Burlington Magazine Foundation. He is a substantial donor to the Conservative party.